University Tower offers a warm welcome to our newly renovated building! Located right in the heart of Rochester's cultural district, our residents enjoy living within walking distance to the Art Gallery, museums, numerous shops, restaurants and boutiques. 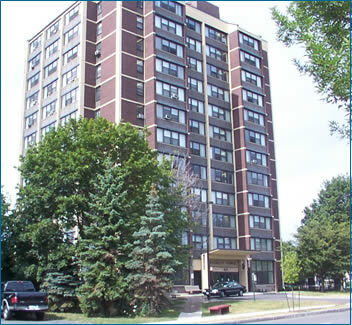 Our apartments provide gracious living space to more mature residents. Visit us at University Tower to see how living here could be called home! Transportation provided to area malls, parks and Wegmans.